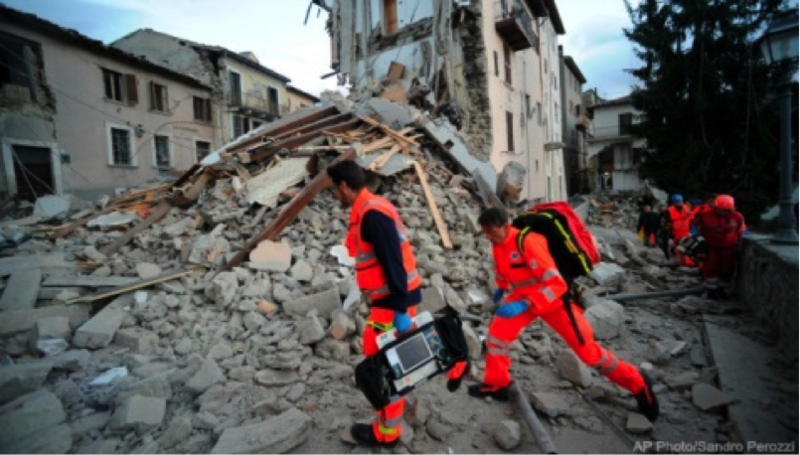 The recent earthquakes that struck central Italy left behind many shattering damages, not only to the environment but also to the minds of the citizens. The aftershock will be borne by the people of Pescara Del Tronto, which went through the hardest of earthquake hits, all through their lives. The wreckages of Pescara Del Tronto, northeast of Rome, have many untold and heart melting stories. One such story that shall be mentioned in the books of heroic sacrifices will be that of Giulia Renaldo, the nine year old braveheart girl. 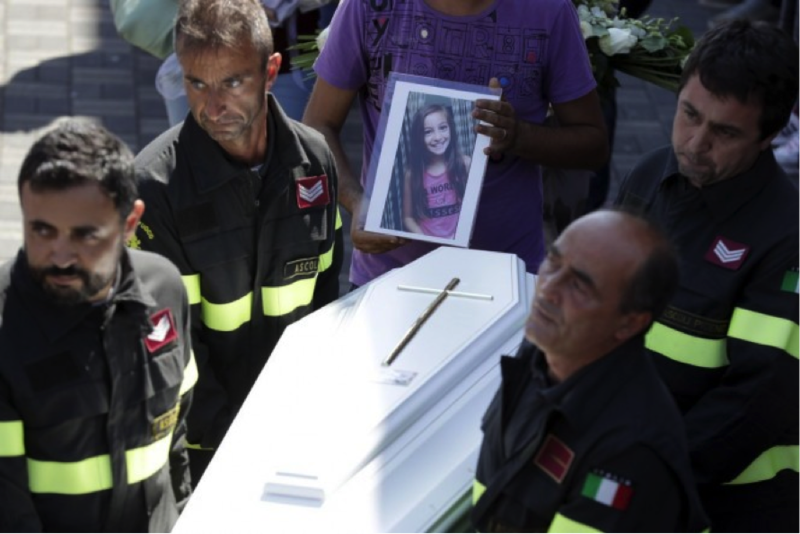 The rescue workers in the sight after the earthquake found the body of Giulia Renaldo in the rubbles that had fallen over her. Although, she was lifeless, her body revealed what the workers called as the most heroic sacrifice. When the firefighters removed the remains of the child, they found, cradled and shielded in between her arms, her 4 year old little sister. 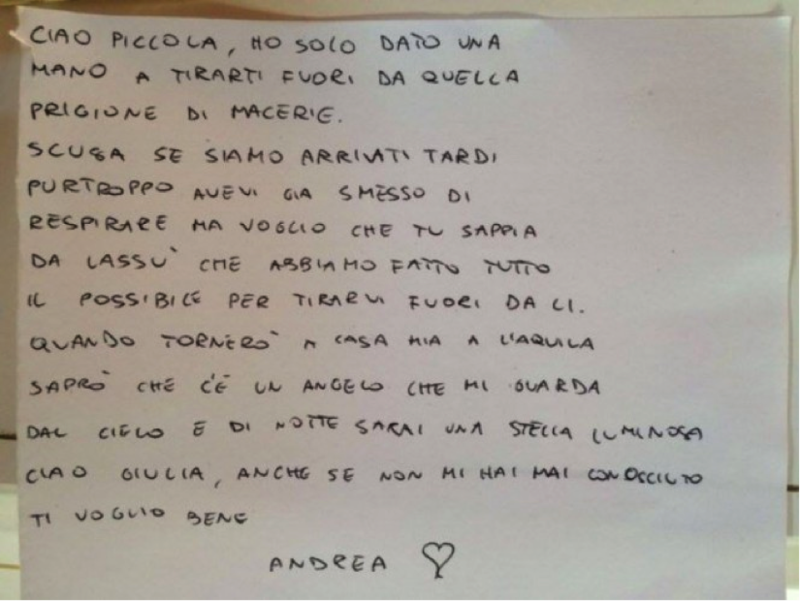 Giulia in the blink of an eye gave up her tiny little life for her younger sister. The sight deeply moved the emotions of the rescue workers so much so that one of them even wrote a beautiful letter to the demised child.